Up, down, backwards, forward, left, right, in, out .... it's all the same Beatrix. I think we get it. I see that she approves of her animal print rug. Beatrix is almost 36 inches long! 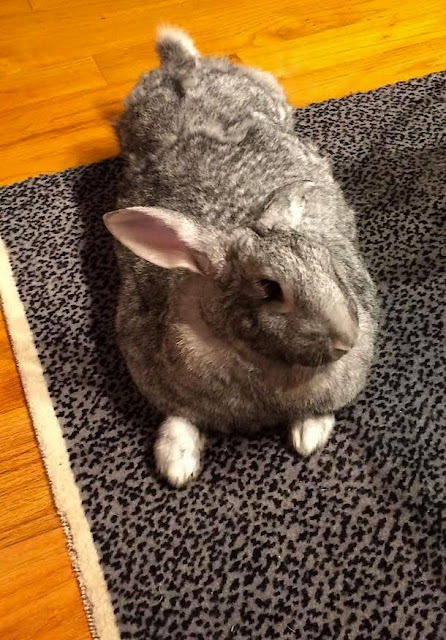 She a Flemish Giant.